Swings are a firm favourite of children everywhere – and Home Front Playgrounds can supply and install the perfect frame for your commercial location. Ours are made from solid 130mm x 90mm square timber fixed together with massive steel connectors and fitted with commercial quality twin bolt swing hangers. You can have up to two positions per bay and up to two bays per frame. Nests require a double width (two-position) swing beam per swing. 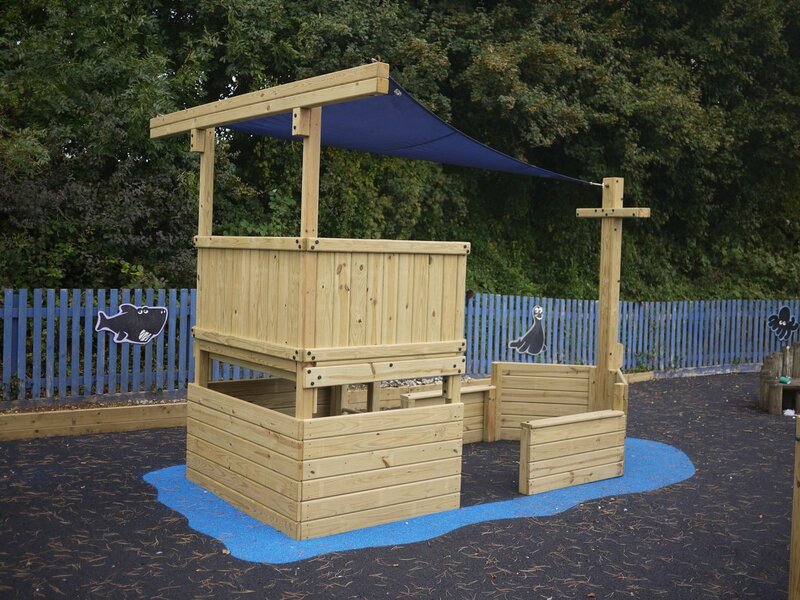 We have a selection of seats which are all compatible with these frames – flat swings for all purpose use, infant swings which will hold younger users safely in place and nest swings so more than one child can share the experience together. We can also provide a selection of accessible seats – please ask us for details. We always recommend that safer surfacing be installed under commercial swingframes to minimise the risk of accidents. There is a wide choice here and you can find more information in our Safer Surfacing section. And don’t forget you will need a large safety margin in front of and behind the swings. If you can erect a fence or barrier to stop children running in front then all the better. Excellent, we have been more than satisfied with your company and the retailer has done us proud.